Key card of this beloved HOFer, these seem so undervalued to us compared to what the Satchel Paige and Jackie Robinson cards from this set trade at. The offered has bright color, clean white borders and quality registration. The card is bright and clean overall, the corners come to points. 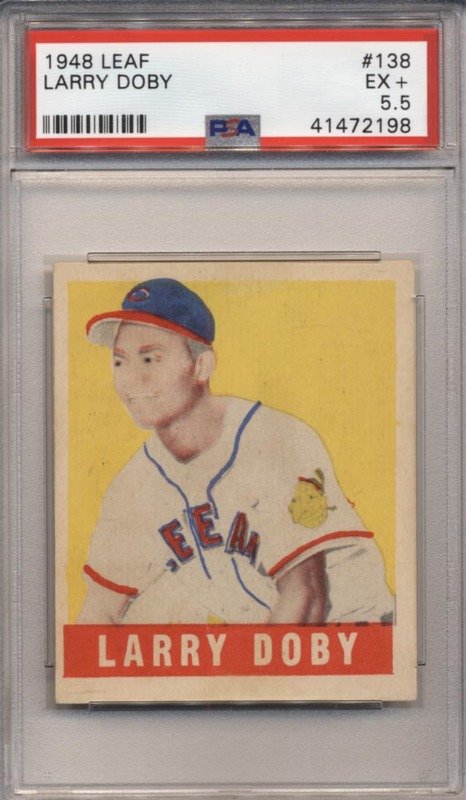 Centering to the left border probably led PSA to split hairs with the grade as most would call this a 6. It will be interesting to see where this card trades at in a few years.